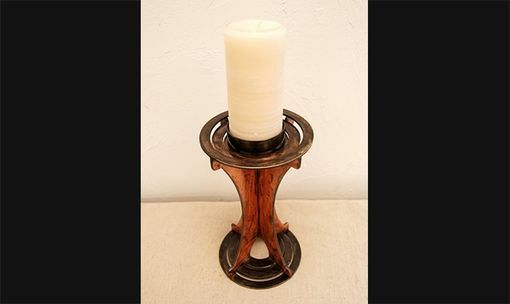 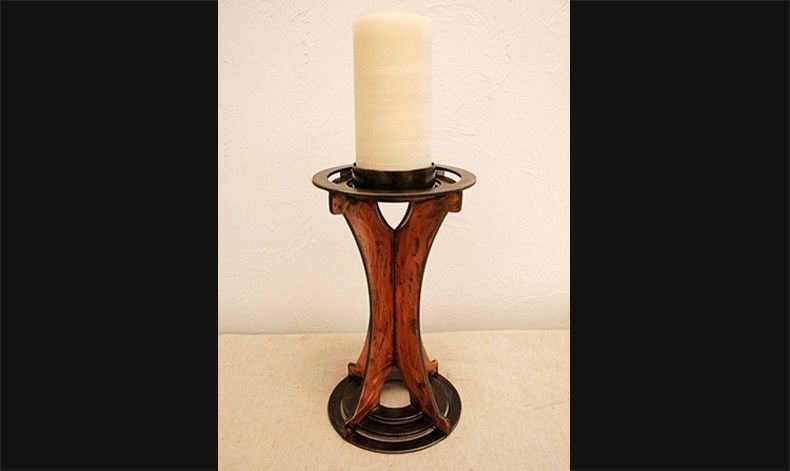 Our Pillar Candle Holder is a design of balance and symmetry made for a 4″ candle to be used for any occasion. •Shown in Copper Veil with Black rings. •Available in our Standard patina finishes.